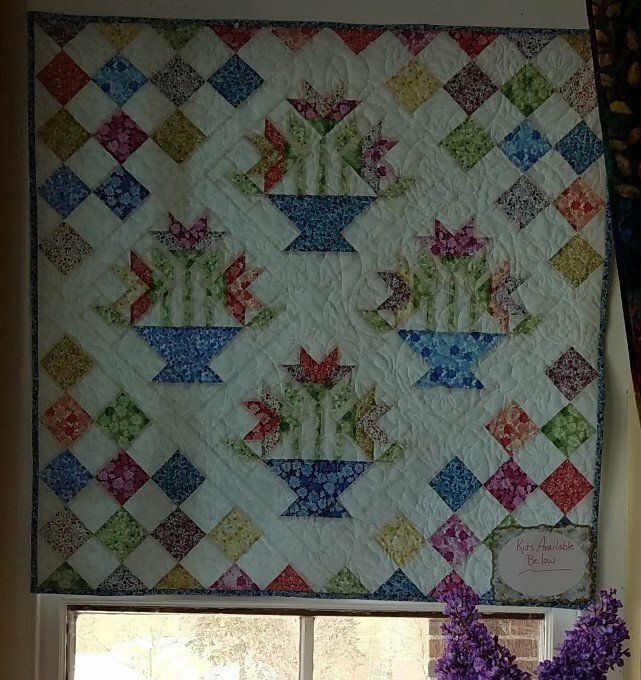 Flower Baskets Wall Quilt kit/Garden Delights, Finished size is 43" x 43". Binding included. Pattern found in the Garden Fresh Quilts Book, INCLUDED.